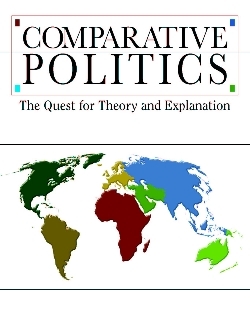 This 200-page paperback is brief and inexpensive enough to serve as a core textbook or supplement for upper-level courses in Comparative Politics that focus on theory. The early years of the 21st Century have shown the world to be in a state of tremendous flux. Struggles have not been between nation-states pursuing their national interests as much as they have been driven by non-state actors attempting to impose a theologically-defined lifestyle on their own states and on others. The legitimate interests of nation-states and the essence of warfare itself are being redefined. At the same time, the patterns of social and political behavior of the nation-states are being transformed as they adapt to this new world. Socio-economic cleavages, deep seated cultural attributes, and the party systems that have represented the Western world for decades are changing in essential ways. Conventional wisdom is being challenged, and the world is searching for alternatives to our old understandings. Into this breach steps Lawrence Mayer with his new Comparative Politics: The Quest for Theory and Explanation. In it, the author attempts to make sense of our new world but at the same time reveals that there is a considerable lack of consensus on the essential principles of such an explanatory enterprise.